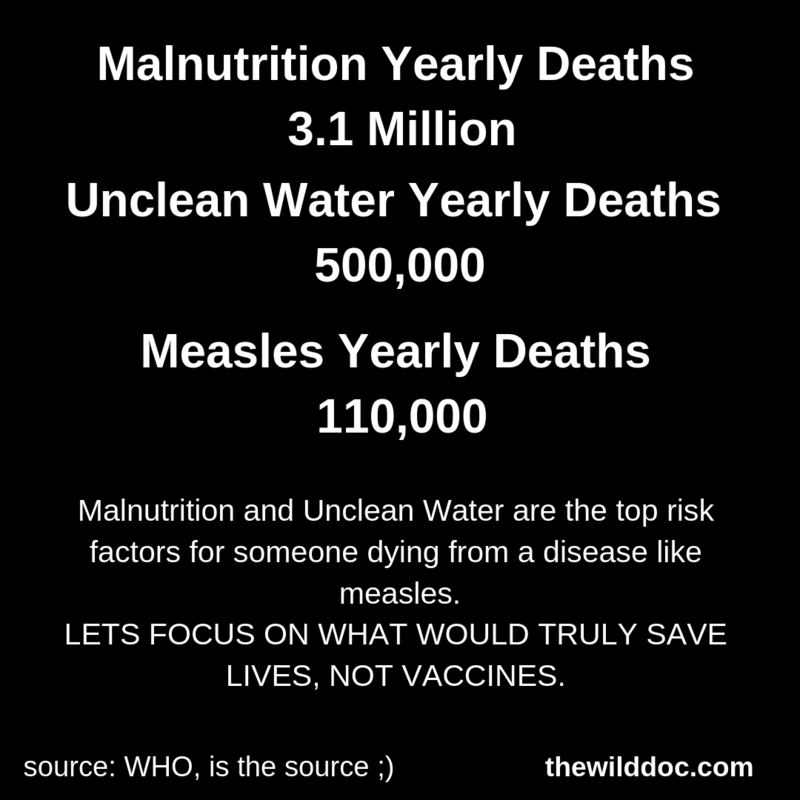 Considering that malnutrition is at 3.1 Million deaths every year, and unclean water deaths at 500,000 yearly, and the measles at 110,000, what should we really be focusing on? Malnutrition and unclean water are the top risk factors for someone dying from a disease like measles. Let’s focus on what would truly save lives. My church is donating clean water filters to help save lives! Our goal is 4000 filters. If you want to help us please consider giving! It cost $25 for one water filter. On the donation page click the “give” drop down and choose “Water Filters-Convoy of Hope”. Putting Things into Perspective. 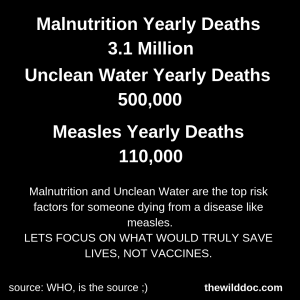 “Measles death” vs deaths due to dirty water.